This page is show photographs of Deuel vom hause Harless. Deuel has a excellent 100% German bloodline. 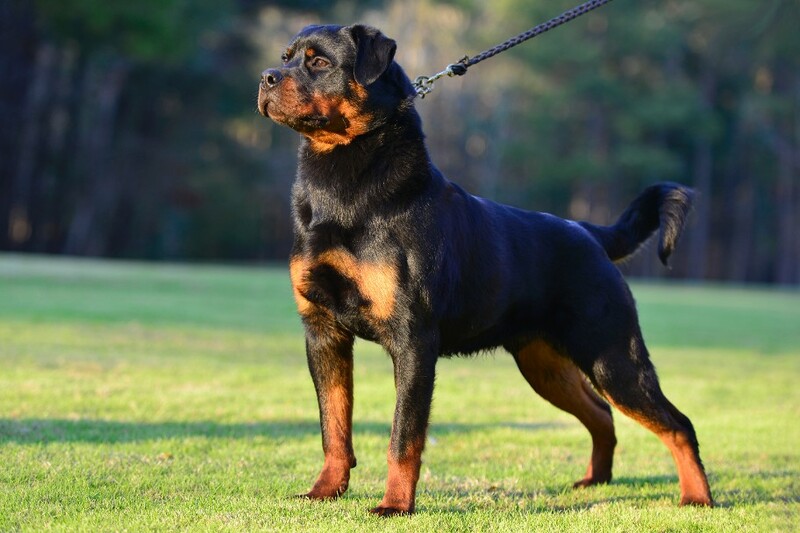 Rottweiler male Lenz von den Hassbergerhohen was the 2010 Auslandsieger and recieved his Gekort in 2013. 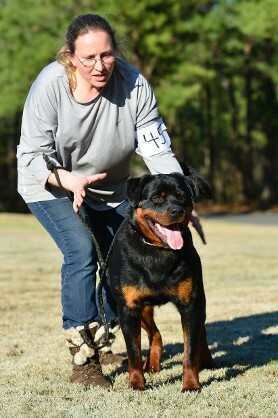 Rottweiler female Bonita vom Wilden Westen was 2011 Auslandjugendsieger and best foreign young female. 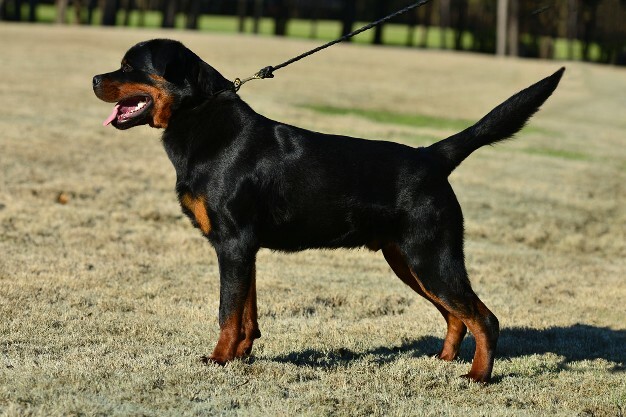 Deuel is the perfect example of the Rottweiler breed. With his massive bone size, beautiful head piece, known presence, and just sheer beauty that will amaze you. 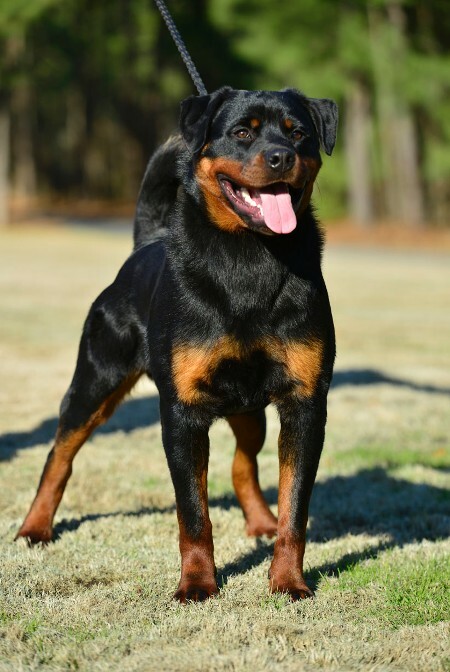 This male is only 8 months old in the picture, yes 8 months. 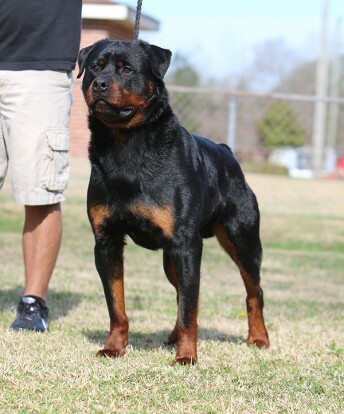 He has the best temperament but at the same time the looks of a serious dog! 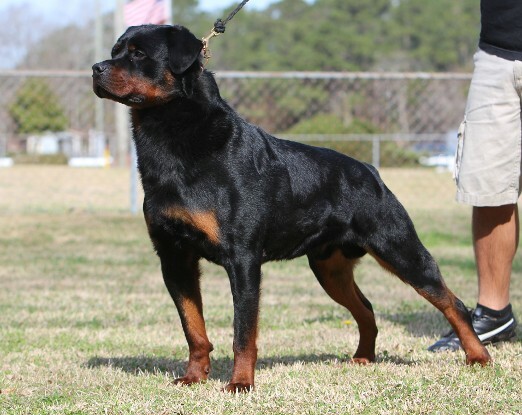 Watch for this great dog in the show ring! 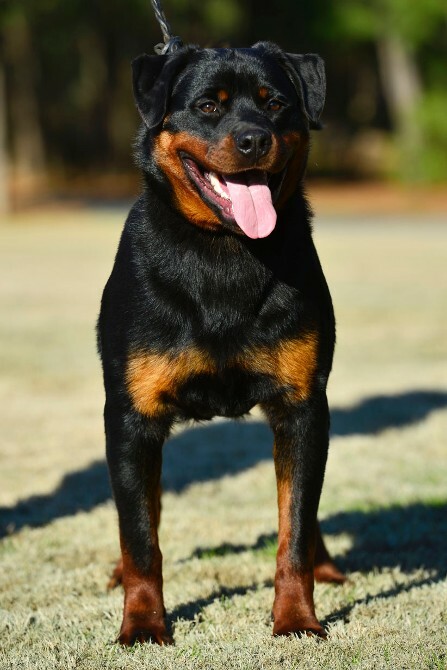 Deuel is a very high temperament Rottweiler. He has a lot of ball and prey drive. 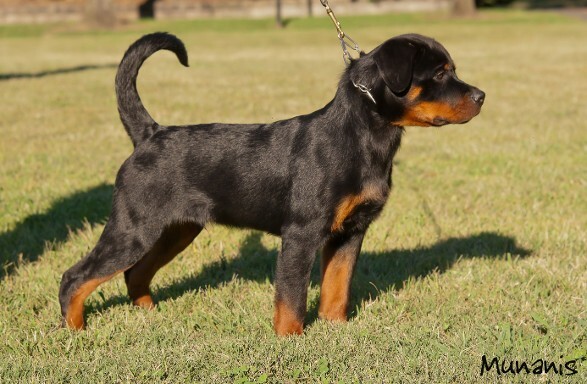 Deuel placed VP2 at his first Rottweiler show as a puppy. Check out Deuels show results page.